This is one of the greatest movies ever made. 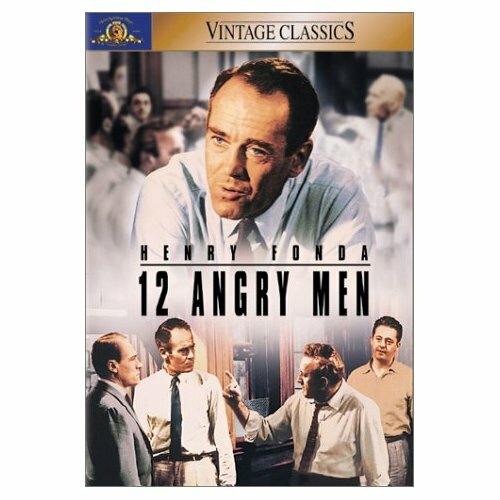 The story revolves around a jury determining the fate of a 18 year old boy on trial for murdering his father. If they find him guilty he will be executed in the electric chair. Henry Fonda is brilliant as the only juror who wants to even discuss the possibility of the boy being innocent. As the debate continues he manages to put reasonable doubt into some of his fellow juror's minds. The rest of the cast is also amazing - including Jack Klugman and Jack Warden. This is #15 on the IMDB all time greatest films and I could not agree more.